This family philosophy, which comes from the grandfather of the two founders, lies at the heart of ENCELADE 1789, a company created by two first cousins specialising in the design and manufacturing of innovative, exclusive and high-quality luxury accessories. While mesmerizing customers with their beautifully constructed writing instruments as well, ENCELADE 1789 certainly attracts customers’ attention with the traditional ENCELADE cufflink collection. This collection comprises up to 56 elements and has multiple rings rotating around each other based on the construction of an ingenious ball bearing system that was inspired by the Haute Horlogerie philosophy. The ROTOR collection has a 360° rotation. Developed entirely in-house by the founding family, the design and every component have been conceived, developed and manufactured uniquely for this collection. This collection is positioned as the logical extension of unique technical expertise and unconventional ingenuity. An innovative accessoriy with a truly unique aesthetic design. The cufflinks from the DICE collection also have an entirely gyroscopic movement with a 360° rotation that was patented worldwide. 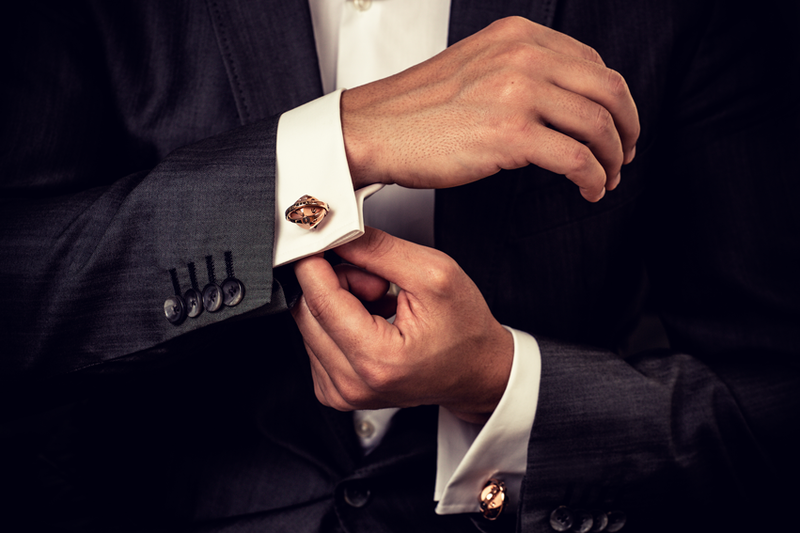 Consisting of a minimum of 34 different components including the 8 ball bearings, these cufflinks are inspired by the field of high precision mechanics. The idea of using the dice as a symbol was carefully selected to remind that all paths remain open as one goes through life. The luxury car company W MOTORS chose ENCELADE 1789 as its exclusive partner for the creation of unconventional, innovative, high-quality accessories. 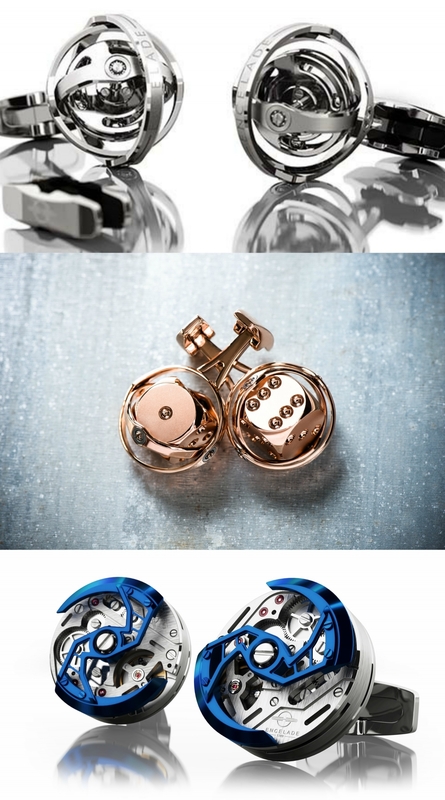 Their partnership resulted in the production of an exclusive series of 100 cufflinks all customised and developed on the basis of the GYROSCOPE collection that carries 56 components and 12 ball bearings. The cufflinks which comprise up to 56 elements have multiple rings which rotate around each other based on an ingenious ball bearing system that was inspired by the Haute Horlogerie philosophy. The ball bearings are amongst the smallest in the world, where up to 12 are used for each pair of the ENCELADE cufflinks. Moving in a completely silent matter and a maximum rotation capacity with 150,000 revolutions per minute underline the quality of the product. The pieces are hand-bevelled with a polished and sanded finish. Not only the cufflinks but the writing instruments as well are innovative and aesthetically beautiful. Crafted in titanium they incorporate a movement that is absolutely unique. The spinning mechanism allows a rotation along a vertical axis. As it rotates the 18-carat gold fins open slightly which produces a unique, hypnotic visual effect. The founders, two French cousins, have been working on an innovative, smart and reliable design especially focusing on ensuring customers a high wearing comfort. Two years of research and product development were necessary in ordert to simply create the buttons which shows just how extraordinary the ENCELADE 1789 products are.